more time on pole with more personal instruction. put in another room if you are uncomfortable. made up within ONE month after the last class of the session. made on the first day of class upon request by email. NO DROP In's ALLOWED. YOU MUST ENROLL FOR 4 WEEKS. CLASS, YOU WILL NOT BE ALLOWED IN CLASS. with approval from the instructor. 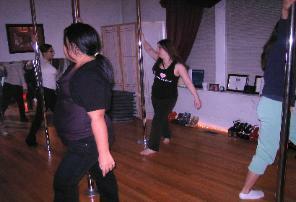 4 Week Pole Fundamentals class. 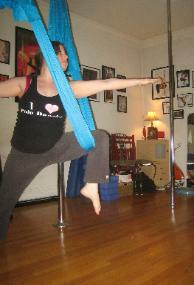 Intermediate Pole Fit and you can move on with the instructors permission. week or more if you would like. Classes. Approval must be received from the Pole Velocity Instructor to take these classes. 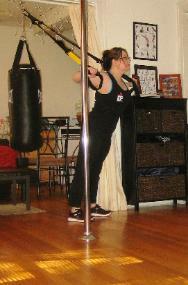 taken at least 6 months - 1 year of pole dance classes at another studio in order to take these classes. class. This is $25 for an hour class assessment. another studio in order to take these classes. One Day Classes are offered throughout the month. These classes are a one time class. 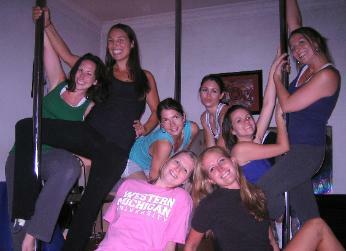 Most One Day Classes do not require any pole experience. RSVP is required at least 24 hours in advance for ONE DAY Classes. NO Drop In's are allowed. We no longer do home parties where we come to your location. or go to the Private Parties Page. If you are interested in taking pole fit classes. 9am-6:30pm. THIS INCLUDES ALL PHONE CALLS. 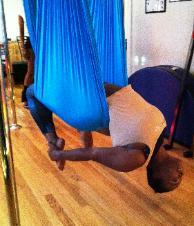 If you are interested in taking Aerial Fit classes. CLASS, YOU WILL NOT BE ALLOWED TO TAKE THE CLASS.